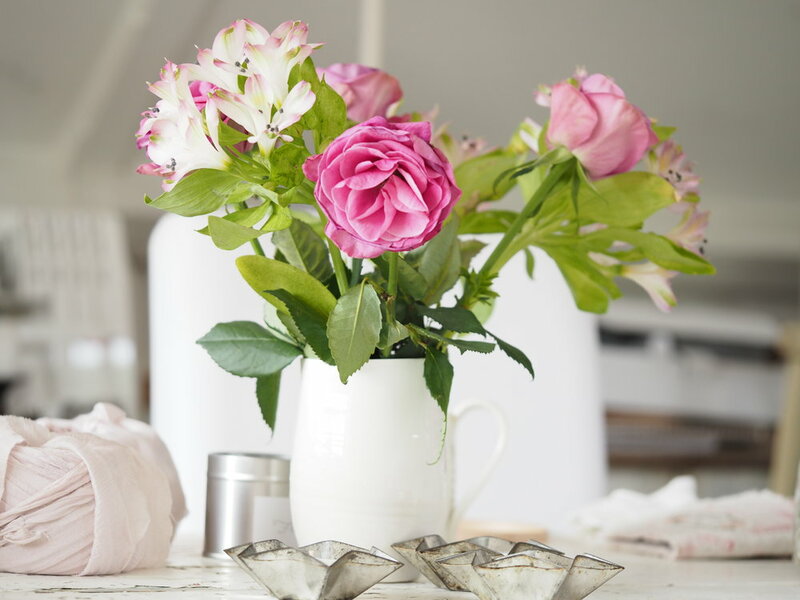 A lifestyle blog about a cosy, sometimes idyllic often chaotic, life in the English countryside. Let's chat about shopping, sewing, knitting, baking, cooking, books and Criminal Minds. Grab a cuppa and make yourself at home. Is this the longest summer ever? It certainly feels like it. Having been born in the winter of 1976 following the last lengthy UK heatwave, I often joke that I was 'cooked' on a high temperature hence my penchant for hot weather. However, now I'm not so sure. It is taking me a million time longer (approx) to do anything, I cannot go anywhere without an electric fan switched on full and I am more short-tempered than I care to admit. Escaping to Center Parcs, the second that school broke up, with my gorgeous nieces. We swam, ate ice cream and took long walks every single day. It was bliss. 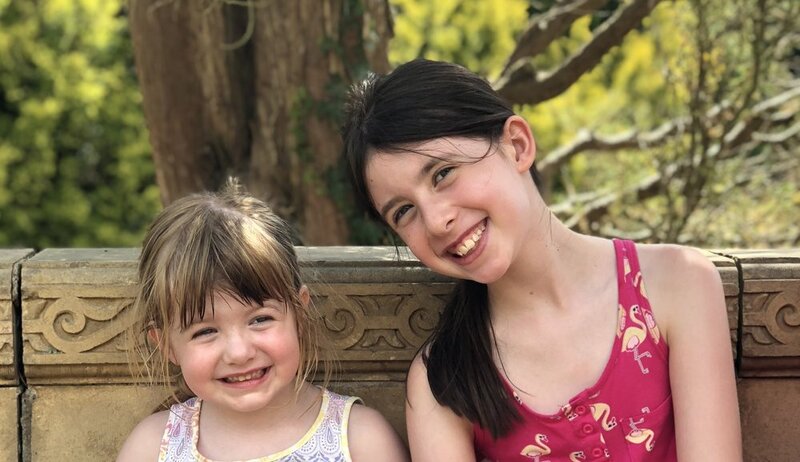 One of my favourite sounds is the laughter of my nieces and there was a lot of it that week (particularly when my husband emerged from the bathroom in my sister's skirted swimming costume). A happy Social Stitch day with some lovely Stitchery ladies. We chatted, ate pavlova and scones and even managed a stitch or two! Bike rides to the park. 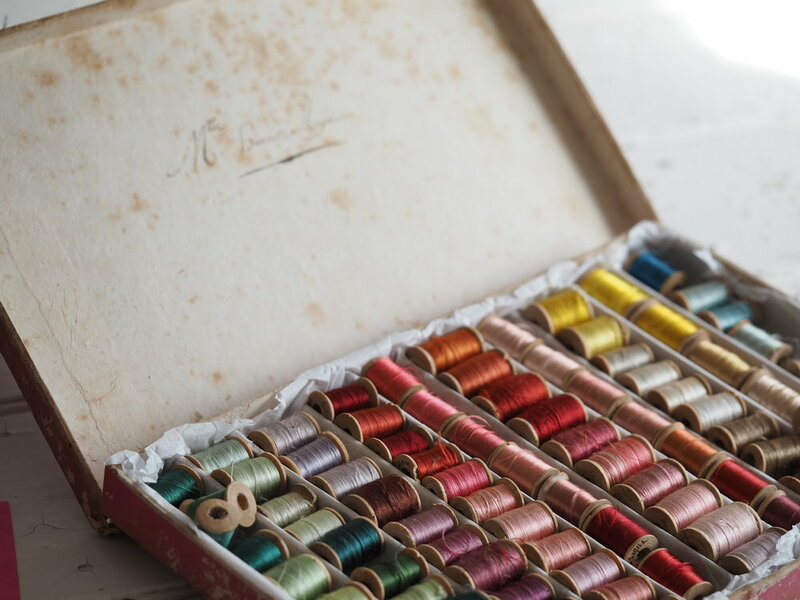 Tiny spools of antique embroidery silk in their original box. 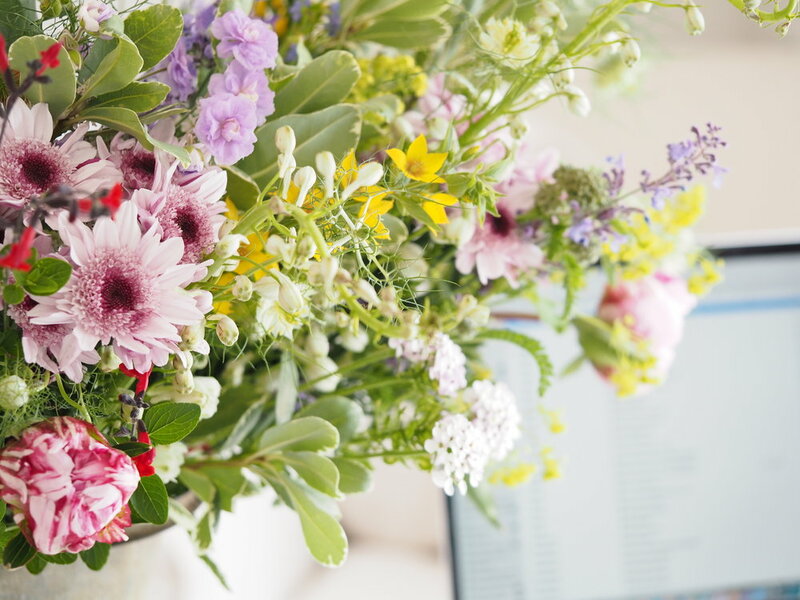 Detours to collect Friday flowers on the way to work every week from a keen local gardener (made even more wonderful with a lovely little drive to pick them up). Raspberry gin with lots of ice. Cold showers with rose-scented foam before bed. Homemade scones with clotted cream and rose petal jam. Mamma Mia HWGA at the cinema with sister and eldest niece. Rediscovering the gentle Miss Read Fairacre novels. A unicorn paddling pool, two squealing girls and a bucket holding 250 water bombs. My calm, white, studio with air conditioning unit and delicious Deli millionaire shortbread on days when I need to catch up on writing jobs. Sleeping under a thin antique quilt to the relaxing whirr of an electric fan. Eating out almost daily because it is TOO HOT to cook. Golden Retriever play dates, crochet and watermelon feta salad with my bestie. My favourite Maxibon ice cream sandwiches in stock at our local supermarket. Spotify Summer playlists on repeat. Dinner, antiquing and happy chats with lovely new friends. Cool linen Son de Flor frocks, Saltwater sandals in candy colours and floppy Gil Fox sunhats. A lot to be cheerful about, all in all! So good to reflect on the happy times this summer. There a full pipeline for The Stitchery this August and heading into the Autumn. I have just launched my Floral Heart Garland embroidery kit (pre-order here) and I am looking forward to attending the Dorset Brocante on bank holiday Monday. I will be holding workshops in a pretty white gazebo in the gardens of West Dean, selling my kits and sewing supplies. There are a few spaces left in the afternoon session if you fancy joining us (book here). 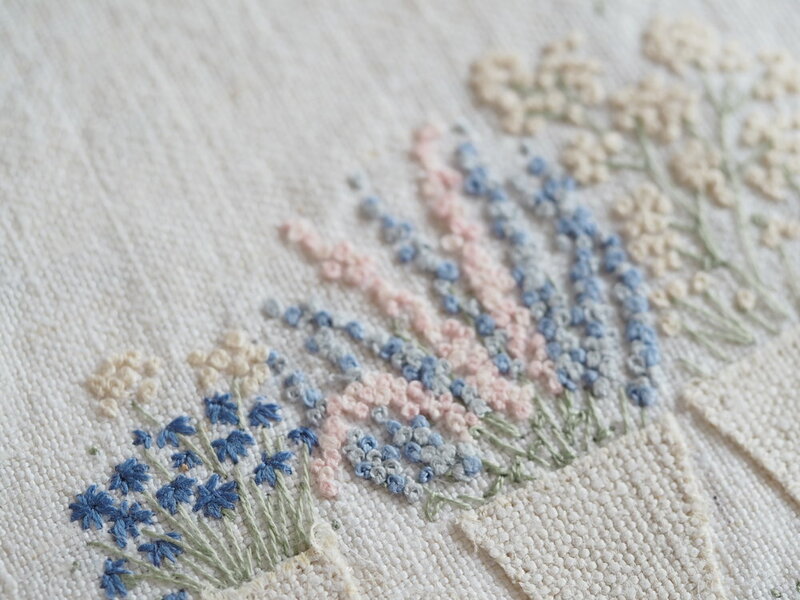 We will be stitching little floral wreaths to be made into lavender bags (or for you to frame if you don't like lavender). I can't wait; the Brocante is always so lovely. On Saturday 1st September I will have my first Social Stitch session (book here) . 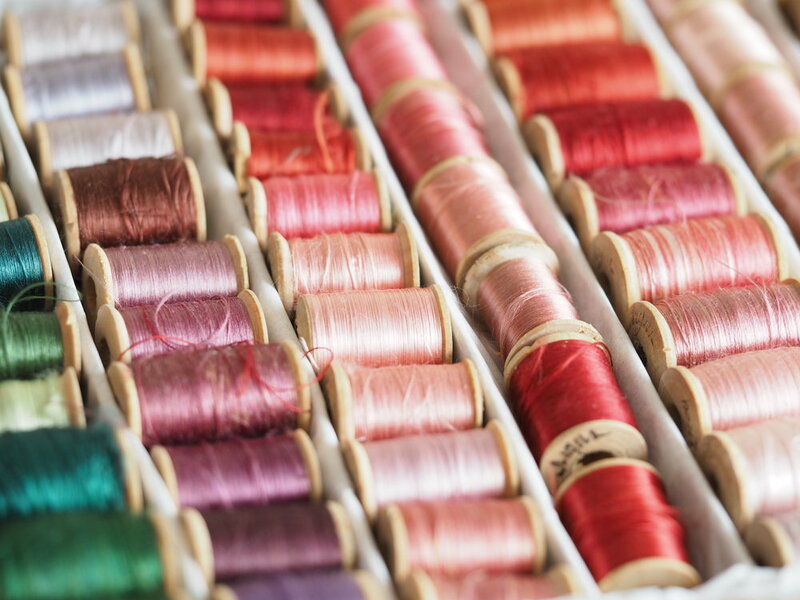 The Social Stitch will happen generally on the first Saturday of every month and you can book your space now until the end of the year if you wish. From 1st September I will also be opening my little studio for visitors on Tuesday to Friday each week. If you live nearby and want to collect your order, stock up on sewing supplies then please come and say hello. I'll be open from 10am - 4pm Tuesday to Thursday and 9am - 12pm on a Friday. I am going to be blogging much more frequently now (I promise) so please keep popping by for news, event updates and youtube tutorials. See you soon, with lots of love.